We will work for the U.S. Forest Service conducting archaeological survey work along San Isabel Creek, north of Crestone, Colorado. We will stay at the Baca Campus during Weeks 2 and 3, but return to CC for the weekend in between. 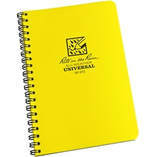 You will need a notebook to record your field notes during our research. Any type of notebook will work other than a very small one (e.g., fits in a back pants pocket). You will write your notes and make sketches with a pencil. You will also need an eraser. At the end of the block you will need to turn the notebook in and it will be kept in the Archaeology Lab as a record of our field work.